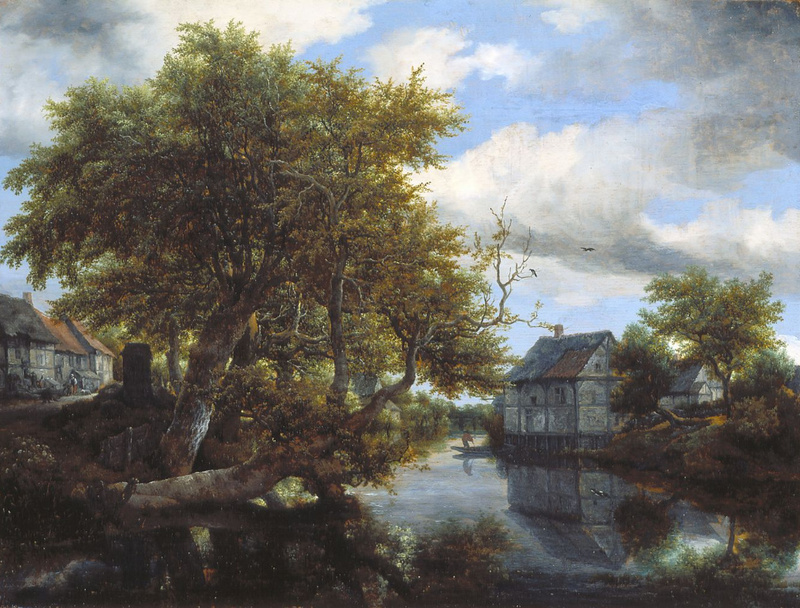 Jacob van Ruisdael – The Hermitage Museum ГЭ-938. Title: Landscape with a Traveller. Date: c. 1650. Materials: oil on panel. Dimensions: 34.5 x 47 cm. Nr. : ГЭ-938. Source: https://www.hermitagemuseum.org/wps/portal/hermitage/digital-collection/01.+Paintings/44432. I have changed the light and contrast of the original photo. 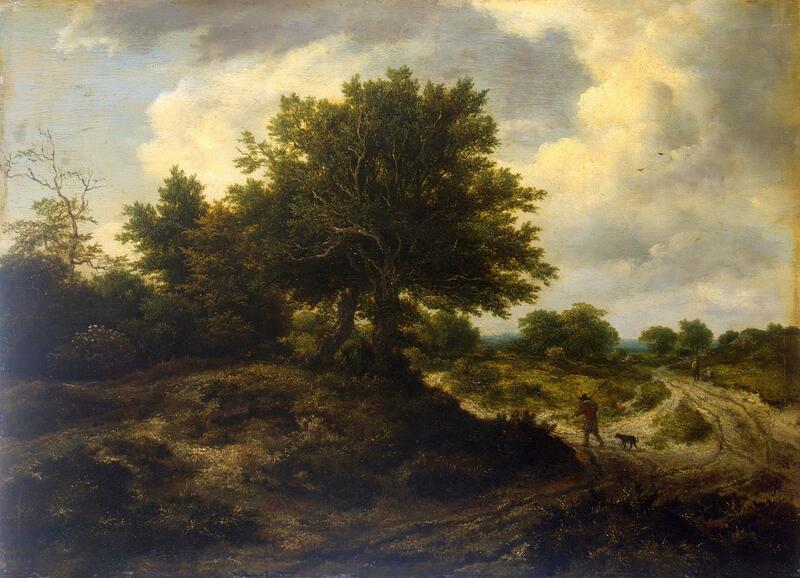 Jacob van Ruisdael – private collection. Title: Low Waterfall in a Hilly Landscape with a Thatched Cottage. Date: ca. 1670. Materials: oil on canvas. Dimensions: 46 x 54.1 cm. Inscriptions: JVRuisdael (JVR in ligature) (lower right). Source: http://www.sothebys.com/content/dam/stb/lots/N09/N09335/170N09335_4D8X2.jpg. I have changed the light and contrast of the original photo. Jacob van Ruisdael – Amsterdam Museum SA 56435. 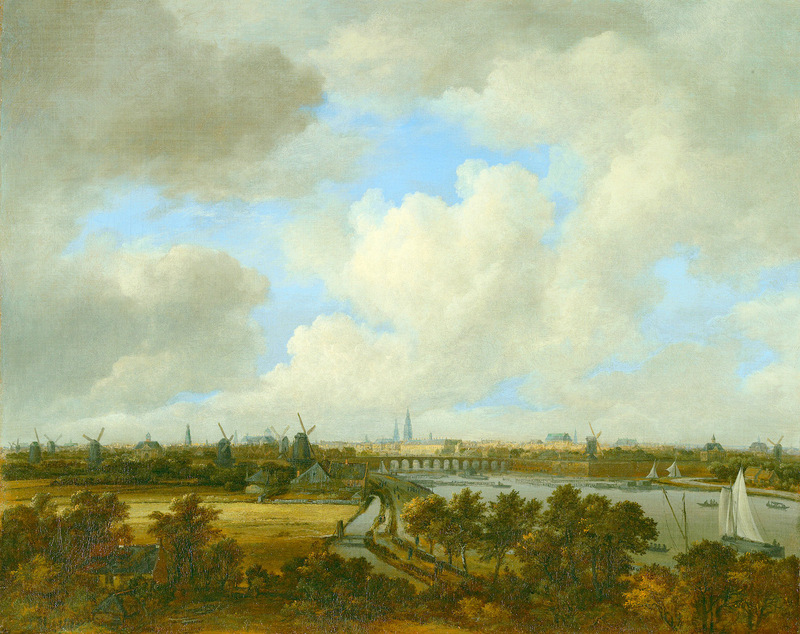 Title: Gezicht op Amsterdam vanaf de Amsteldijk. Date: c. 1670-1682. Materials: oil on canvas. Dimensions: 53.4 x 67.6 cm. Acquisition date: 2008. Nr. : SA 56435. Source: https://amdata.adlibhosting.com/api/wwwopac.ashx?server=images&command=getcontent&value=s_sa_56435_000.jpg&width=&height=. I have changed the light and contrast of the original photo. 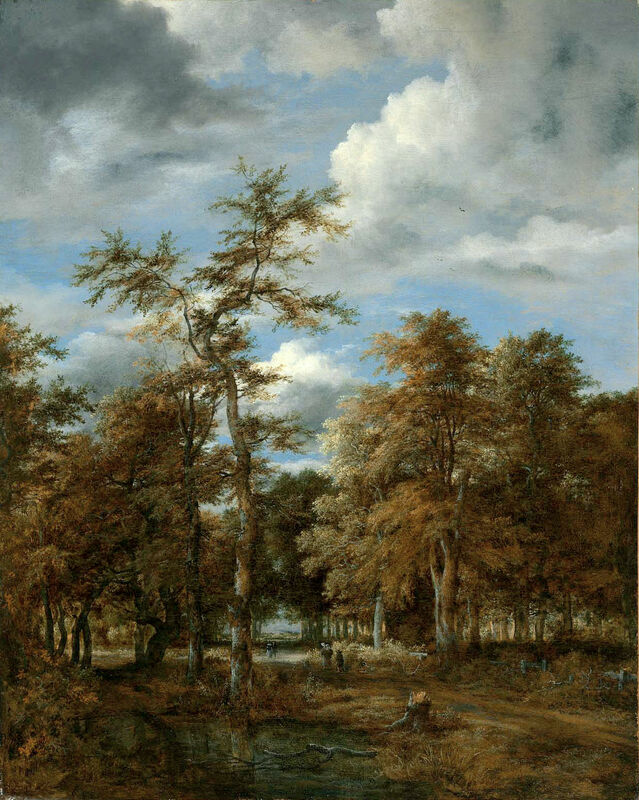 Jacob van Ruisdael – private collection. Title: A Winter Landscape with a View of a Town and Wooden Bridge. Date: c. 1645-1682. Materials: oil on panel. Dimensions: 25.8 x 33.2 cm. Inscriptions: JvR (lower left). Sold by Christie’s in London, on December 8, 2017. 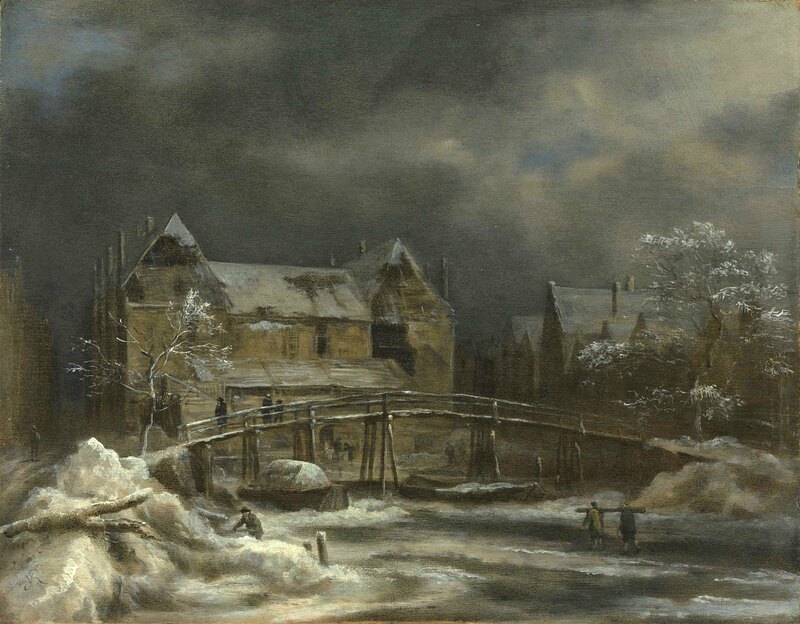 Source: https://www.christies.com/img/LotImages/2017/CKS/2017_CKS_13674_0131_000(jacob_van_ruisdael_a_winter_landscape_with_a_view_of_a_town_and_wooden).jpg. I have changed the light and contrast of the original photo. Jacob van Ruisdael – Nasjonalmuseet for kunst arkitektur og design NMK.2013.0346. Title: Fjellandskap med gammelt eiketre ved en kornåker. Date: c. 1660s. Materials: oil on canvas. Dimensions: 55.2 x 69.5 cm. Nr. : NMK.2013.0346. Source: http://samling.nasjonalmuseet.no/no/object/NMK.2013.0346#. I have changed the light and contrast of the original photo. 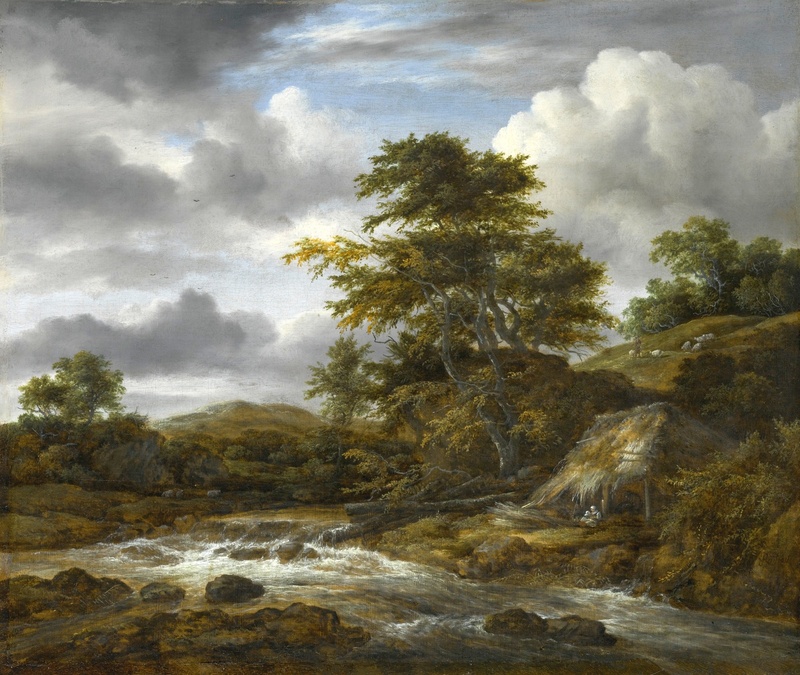 Jacob van Ruisdael – Minneapolis Institute of Art 88.43. Title: Castle and Watermill by a River. Date: c. 1670. Materials: oil on canvas. Dimensions: 68.6 x 57.1 cm. Nr. : 88.43. 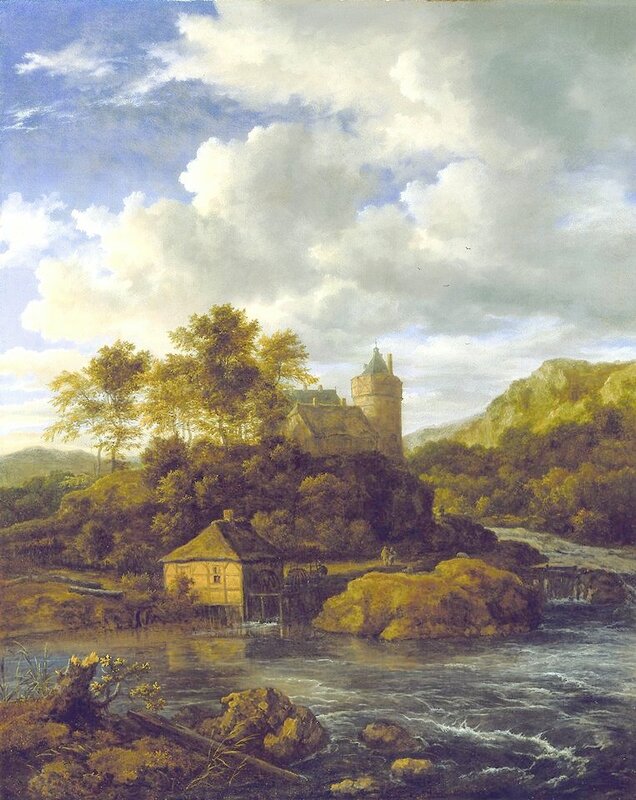 Source: https://commons.wikimedia.org/wiki/File:Jacob_van_Ruisdael_-_Castle_and_Watermill_by_a_River.jpg. I have changed the light, contrast and colors of the original photo. Jacob van Ruisdael – Detroit Institute of Arts F82.94. 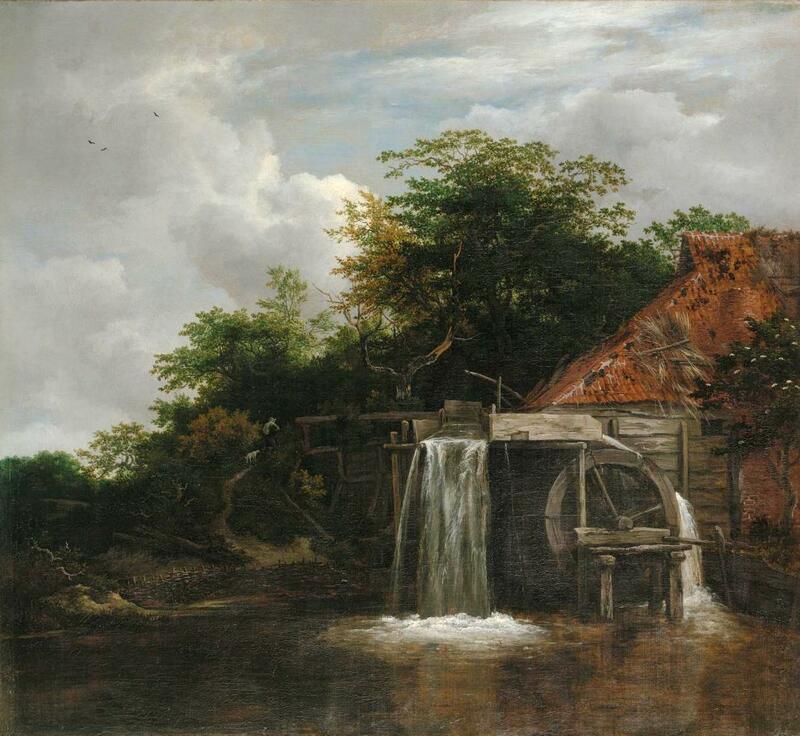 Title: Landscape with a Watermill. Date: c. 1680. Materials: oil on canvas. Dimensions: 42.5 x 61.6 cm. Inscriptions: JvRuisdael (JvR conjoined; lower right). Nr. 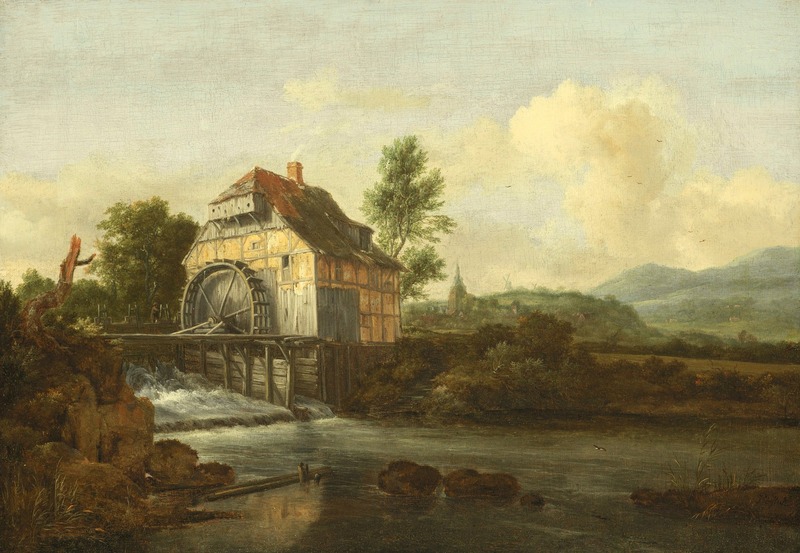 : F82.94 Source: https://www.dia.org/art/collection/object/landscape-watermill-60044. I have changed the light, contrast and colors of the original photo. Jacob van Ruisdael – Museum of Fine Arts (Boston) 52.1757. Title: Woodland Vistas. Date: c. 1650-1680. Materials: oil on canvas. Dimensions: 67 x 53.7 cm. Nr. : 52.1757. 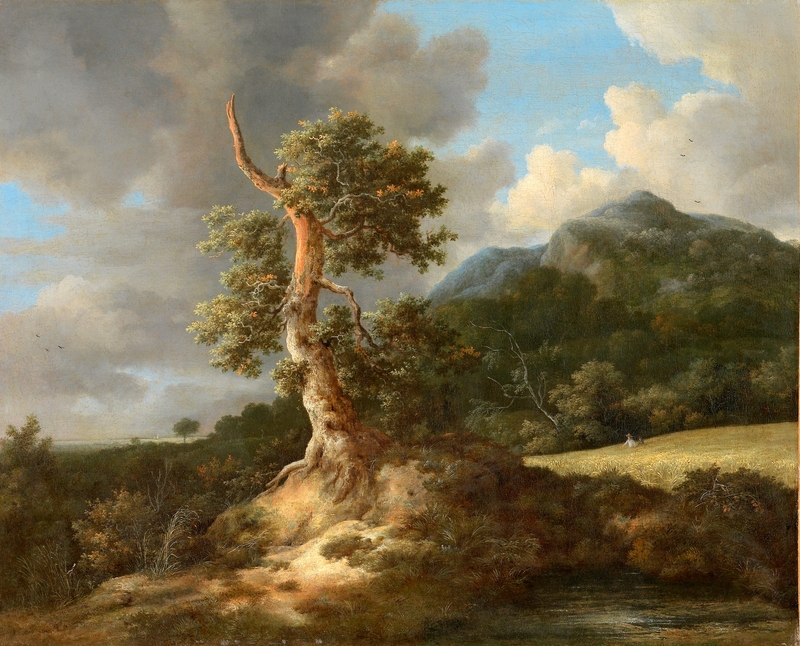 Source: http://www.mfa.org/collections/object/woodland-vistas-33494. I have changed the light, contrast and colors of the original photo.